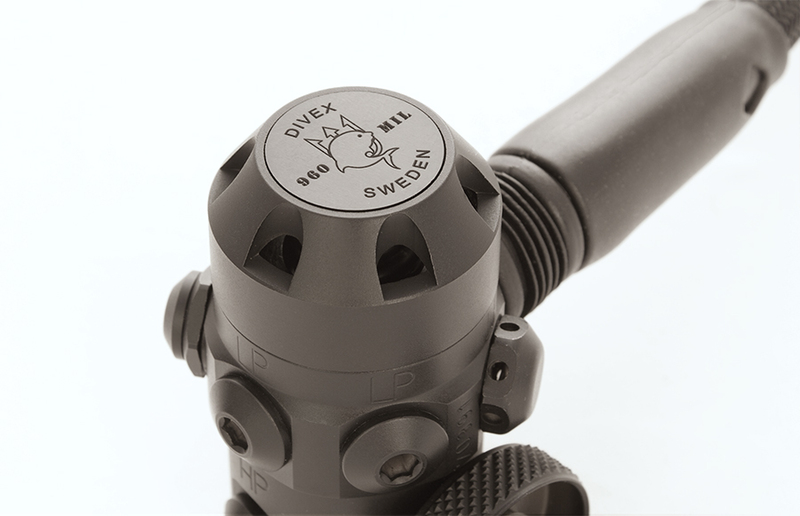 The 960 MIL is a regulator that stands out. 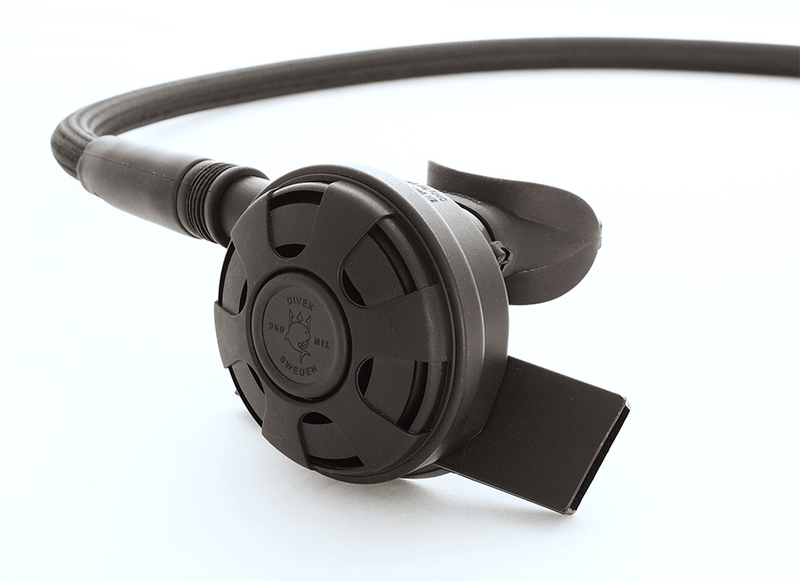 Coated in matte black with a none reflective surface, this regulator has a look that is the first of its kind. 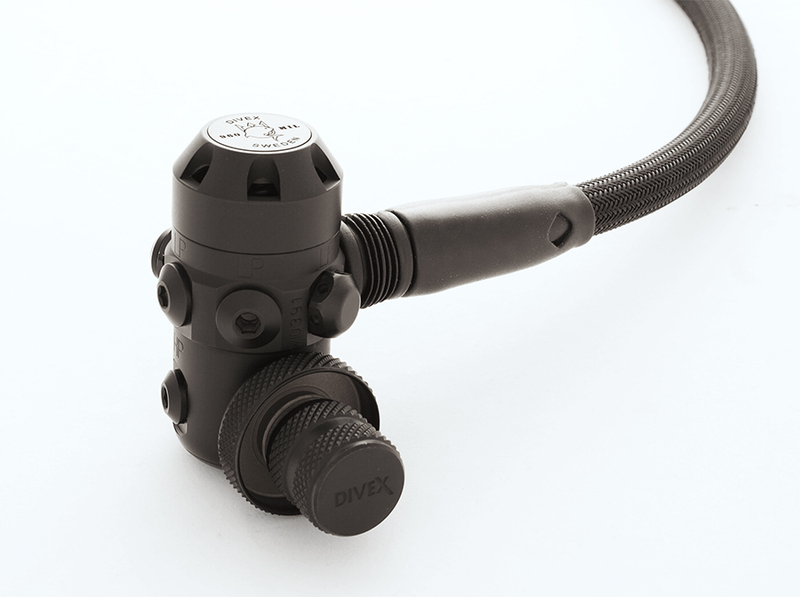 Fieldworthiness: The 960 MIL can handle rough treatment in commercial & military diving environments. Performance: Used for extreme deep diving by tech divers. 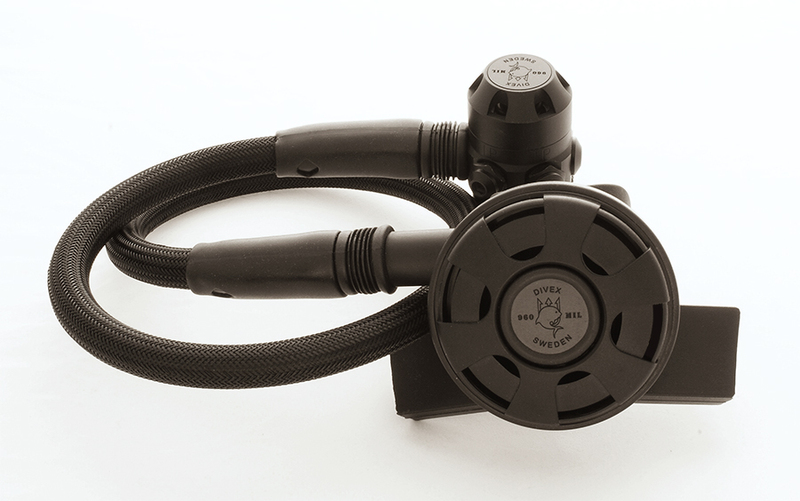 Modularity: Equipped with 6 LP-ports and 2 HP-ports, this regulator can have any hose setup.